That same drive and ambition led her to turn this professional dream into a reality. Here, in the beautiful village of Oppède, is where the story of Provence Home begins. From its privileged location in the heart of the Luberon, the agency began showcasing some of the area’s hidden gems, offering customers a unique and authentic Provençal experience. After only a few months, Isabelle decided to expand the Provence Home family and set out to find a team that shared her values and love for the region. Provence Home is pleased to present our team of specialists trained to help you buy or sell an exclusive Luberon property. As a native of this magnificent region, I’m proud to introduce my customers to the most stunning sites and most beautiful properties the Luberon has to offer. My husband and I have had the chance to refurbish several properties in the Luberon. Most recently we fixed up a property in Ménerbes, which is now a splendid leisure venue with several high-end holiday cottage rentals. I draw on this experience to help my customers get settled in the Luberon by recommending trusted craftsmen, interior designers, gardeners, etc. I can still see myself wending my way along the Luberon trails to Oppidum, taking in the fragrant scents of spring. It was 2015 and I had just joined the Provence Home team. Every day, every season, I let my customers in on the area’s secrets, as only a true Provençal can do. I will support you every step of the way to finding your dream property. Our determined globetrotter Sarah’s career path has taken her from New Caledonia to Australia and beyond. After about ten years living and working in Cornwall, she returned to Provence – the adopted home of which she never grows tired. 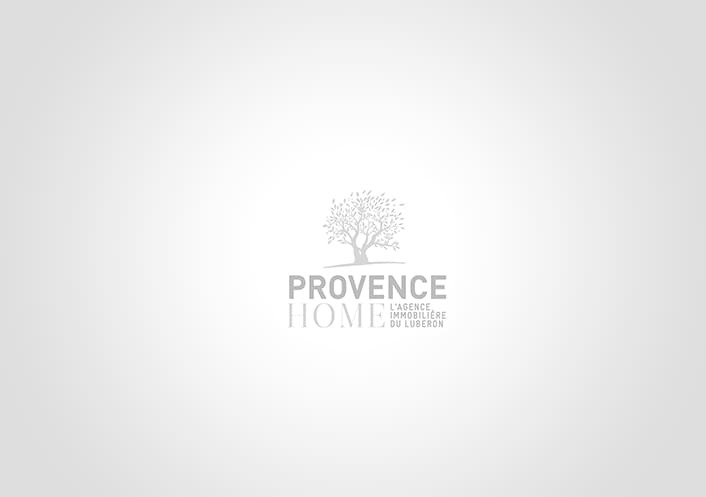 Each of these consummate entrepreneurs has become a true asset and cornerstone of the Provence Home structure. She decided to pursue practical vocational training to become a real estate agent. She chose to work for an agency that covers the area she knows best: the villages of her childhood. As a native of Southwest France, I was drawn here by the Provençal sun. After completing a master’s in business management, I joined the Provence Home team because I liked the dynamic work environment and wanted to help the agency grow. Named “Best Real Estate Agency of the Luberon” by www.meilleursagents.com (the reference for real estate agencies in France), Provence Home will provide you with personalised service and unparalleled customer support as well as the expertise and attentiveness of consummate real estate professionals. We are fully committed to helping you find your dream home. Making the trip out to visit a property isn’t always feasible. Luckily, at Provence Home we have a free and simple solution: a virtual tour of your future property right on our website! You’ll be able to assess your property as thoroughly as if you were there. Click here to take a virtual tour of a property with Provence Home. Showcase your property in its best light with a 3D floor plan. With its optimised layout, this service will be an asset in your quest to sell your property. Click here to see our 3D floor plans. Provence Home can virtually furnish and decorate the interior of your property to show it off in its very best light. The result is a stunning interior: your home as you’ve never seen it before! Click here to see an example of our virtual interior design. Nine out of ten people in France say they are more likely to visit a property that is geolocated. So, as part of your exclusive agency agreement, Provence Home will put your property on the map and dramatically increase its visibility. Click here to see our geolocated properties! In order to simplify and refine your searches to include only the most relevant properties, we have optimised the search engine on our website. In order to grow our community and share our knowledge of the Luberon, we have strengthened our presence on social media. We’ve also launched a new blog to introduce you to the art of “living the Luberon life” (“Vivre en Luberon”). So what are you waiting for? Follow us today on Facebook, Twitter and Instagram! In an effort to bring you an ever-wider range of skills, technical savvy and assurance in the face of a complex real estate transaction, we have joined the Fédération Nationale des Agents Immobiliers (FNAIM). In an effort to inspire and channel reflection and public debate, the town hall has offered to draft an updated PLU for early 2017. Until then, the current POS (drawn up in 1986) serves as our reference. For centuries, its advantageous geography (the Luberon, the plain and the Calavon River) and rich historical heritage (Oppède-le-Vieux perched atop its rocky peak) have enabled the village to adapt in the face of change. And it must continue to do so in order to anticipate demographic and economic shifts and to grow and thrive, today and tomorrow, within the greater “Luberon Monts de Vaucluse” community. How do we attract new residents whilst preserving the village’s authentic charm? How might we get the 100,000 annual visitors to Oppède-le-Vieux to linger and entice them down to Les Poulivets to give our businesses a boost? What is the economic outlook for the greater Coustellet community? Which road development plan would be best for each zoning area? How might we connect the village to the Véloroute (cycling road) ? In sum, making intelligent use of space so that the village can thrive and accommodate new families whilst preserving its warm and neighbourly way of life. With this objective in mind, Oppède residents are asked to thoughtfully respond to a public survey that will take place over 6 weeks from August through mid-September. This well-attended initial meeting, moderated by Jean Grégoire, is to be the first of many concerning this initiative. Provence Home will follow this discussion closely as it develops. Private or professional? The debate has been raging on for years in the real estate world – and at long last, we’re here to put it to rest. We hereby present a scientific conclusion supported by a combination of numerical research, qualitative interviews and quantitative surveys. In short: this is serious research! The study looks at the factors that drive prospective buyers to an agency as opposed to a private-sale platform. The study compares market shares of agencies and private-sale structures, examines agency profits collected by customers and evaluates the performance of each system. In this article, we will go over the findings concerning agency vs. private-sale market shares. A group composed of CNRS researcher Fabrice Larceneux, doctoral student Thomas Lefebvre and senior lecturer Arnaud Simon (the two latter from the Université Paris-Dauphine) studied shifts in the real estate market over the past few years. Based on a survey of 6,077 participants, the group published their 21-page study, “La perspective des coûts de transaction perçus” (Transaction Cost Perspective), in late 2014. The study was conducted in collaboration with MeilleursAgents. The study focuses on the added value brought by a real estate agent compared with the use of a private-sale platform. The goal, then, is to identify the factors that drive a seller to turn to an agency rather than selling his/her property privately. Among all the factors, the study provides some interesting figures, reveals the market share of professionals versus private-sale sites and above all, presents findings on the effectiveness of each system. The market share of private-sale sites has been difficult to determine… In France it’s generally said to be an even 50/50 split. Private-sale sites entice sellers with the prospect of savings, but the question is: do these sites actually work? The study shows us that real estate agencies are still in a dominant market position. In total, some 180,248 people were surveyed. Of those surveyed, 6,077 responded, indicating how they sold or purchased their property. Here are the results. First-time buyers often opt to extend their borrowing period in the goal of increasing their spending power and lowering monthly payments. However, in the current climate of plummeting interest rates and more affordable property prices, a 30-year mortgage is no longer advantageous. On the contrary, such a long-term loan can even prove risky, both for the bank and the buyer. As your broker will tell you, there is no real benefit to extending your borrowing period under the current market conditions. Extending a mortgage from 25 to 30 years will not increase your borrowing power, nor will it lower your monthly instalments. In fact, it can even become a serious impediment should you suddenly find yourself needing to resell. The decline in rates is currently most significant for borrowing periods of 15 to 25 years. A 25-year mortgage can comprise rates of between 2.7 and 3.2%. But once you cross the 30-year threshold, those rates climb to between 3.8 and 4.3%, generating a greater expense for the 30-year buyer, but no extra benefits. A 30-year loan can put the buyer in a difficult position in the event he or she is forced to resell. Unforeseen circumstances such as divorce, a job transfer or death may force the buyer to put his or her property back on the market before it is fully paid off. If this occurs within fewer than 5 years of the mortgage signing, the seller will owe the bank more money than he or she can afford to repay. The first few years of loan repayment serve primarily to pay off the interest rather than the principal. In other words, “when you borrow at 4% over 30 years, 70% of the first year’s repayment costs cover interest. As a result, the amortisation of principal is very slow… And if the loan was granted without a down payment, it would take close to 5 years just to offset the guarantee and notary fees before even beginning to pay off the property itself”, according to Sandrine Allonier, head of bank relations for the online broker Vousfinancer.com. Many brokers dissuade buyers from taking out a 30-year mortgage; and ultimately, with all these reasons in mind, few buyers opt for one. In its latest report, the CSA/Crédit Logement puts mortgages of 25 to 30 years at 18% versus only 0.7% for those over 30 years. Many couples opt to purchase their home through an SCI (a property investment company). This set-up is particularly attractive for reconstituted families. The main advantage of buying through an SCI lies in its flexibility, in that it provides protection for unmarried couples as well as surviving spouses within a reconstituted family, whilst also involving one’s children in the management of the company. Reconstituted families are strongly advised to make their real estate purchase through a family SCI. This will ensure that, in the event of a parent’s death, the surviving spouse will not be caught in a joint inheritance arrangement with children from a previous marriage. In such circumstances, the surviving spouse may be forced to sell the home in order to pay the share of the inheritance to which the children are legally entitled. The SCI serves to protect the surviving spouse vis-à-vis children from a previous marriage. When assets are held jointly, decisions surrounding transactions are often made unanimously or with ? consensus, which can lead to an impasse. The SCI set-up can eliminate this risk – for example, by enabling one to stipulate a majority rule (rather than unanimous) voting system. An SCI spreads property assets among divisible shares, allowing for easier transfer: shares can be broken up and gifted over time. Parents may transfer up to 100,000 euros in assets per parent to their children every 15 years and benefit from a tax exemption. A couple can thus gift up to 200,000 euros to their children without tax liability. Likewise, grandchildren are entitled to a tax-exempt maximum of 31,865 euros every 15 years from each grandparent. One good way to protect your spouse is to make a gift with reservation of benefit. Say the SCI assets are divided into 100 shares. In this scenario, one spouse would assume bare ownership of shares 1-50 and usufruct of shares 51-100, whilst the other spouse does the exact opposite. In the event that both spouses have children from a previous marriage, each spouse can then transfer bare ownership of the property to his or her respective children, whilst maintaining the right to inhabit the property. An additional advantage of this set-up is that taxation is restricted to bare ownership, which represents 60% of property value for someone between 61 and 70 years of age. To create an SCI for the purpose of buying a home and placing it under the company’s ownership, at least two parties must sign on, each holding shares corresponding to their respective contributions. An SCI can operate for a maximum of 99 years. First, a set of regulations need to be drawn up. This can be as simple as defining the extent of the SCI manager’s mandate and establishing majority rule. The official document must then be registered and submitted to the Greffe du Tribunal de Commerce (the French commercial court registry), after which a listing should be published in a journal of legal notices. This process takes about two weeks. and costs around 1,500 euros. The company is directed by a manager who oversees day-to-day operations, whereas major decisions are made by the assembly. The value of assets is determined by the share value, which in turn is determined by the property. Any debt, such as an outstanding loan, may be subtracted from this amount. In the event of a sale, SCI capital gains are subject to the same taxation as private capital gains. Best of all, French tax authorities undervalue SCI shares on the grounds that they have less liquidity than would a property under direct ownership. This can yield a tax reduction of up to 30%.